As I've mentioned on Twitter recently, I organised a charity auction for Assistance Dogs Australia a couple weeks back and I was actioned off for a tidy $2400! That's not bad but between me and my colleagues we raised $25,000! That's an amazing result. In any case, my task is to cook a degustation meal for my boss and eleven other people. I've decided to go all-out and make seven courses entitled, "Australia On a Plate". 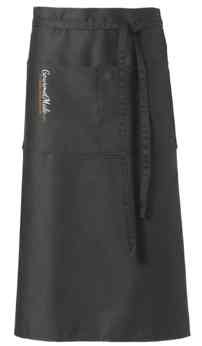 So between now and the 30th of November I need to trial and finalise my dishes. First test dish is one I've been conjuring up for a while. 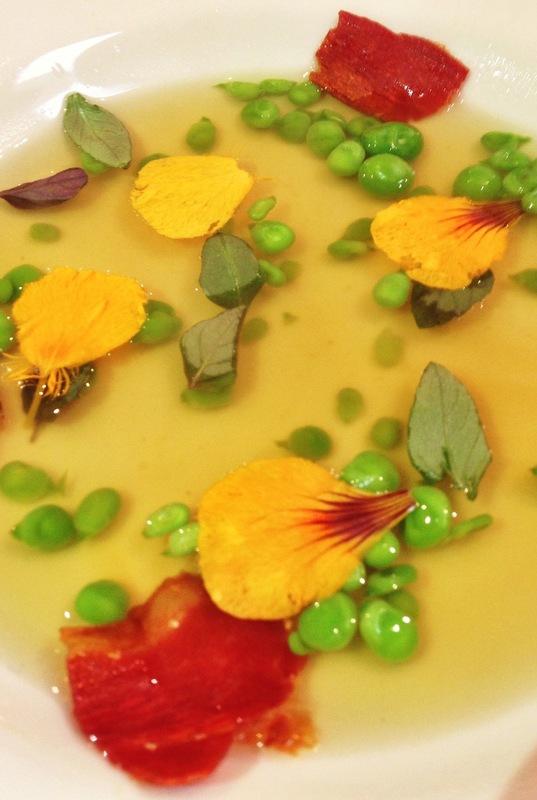 It's "Spring Pea Consomme, Jamon, Basil, and Nasturtium". I'm growing everything in my garden (except the jamon) but the peas haven't sprouted so I need to pick them up at Thomas Dux. I think it looks beautiful and it tasted fantastic! It's very simple to make. Extract the peas from the pods and set aside. 200g of pods gave me a yield of about 25g of actual peas. Place the pods in the water in a large pan and rapidly boil and reduce for 55 minutes. Yes, that sounds like a long time but it's necessary to get the depth of flavour. While the consomme is reducing turn on your oven in grille mode and crisp the jamon until crispy. Be careful to not burn it! Remove all the pod material and add the peas and boil for 5 minutes. Remove from the heat and gently pour into a wide, thin bowl. Place the pancetta on the sides and add the basil and nasturtium. Serve! After a couple minutes the consomme will cool down but the jamon and herbs will have balanced the sweetness perfectly. I just love how amazing the home-grown herbs taste. And the look of the nasturtium petals is fantastic. So very rewarding. Now I can't wait for my bush sugar snap peas to grow and make this entire dish from scratch!